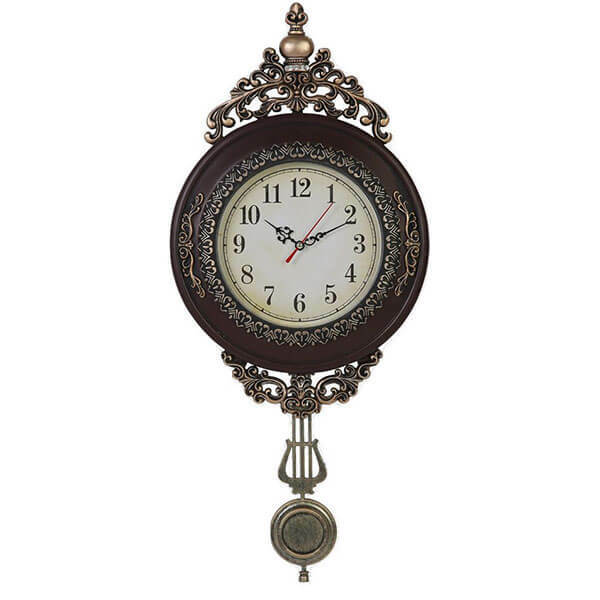 Created in a classic style, the Giftgarden Classical Pendulum Clock is a fancy clock that can add elegance to any room in the house. This clock features Arabic numeral indicators and ornate hands that tell the time. A quartz movement keeps the time with both dependability and precision. 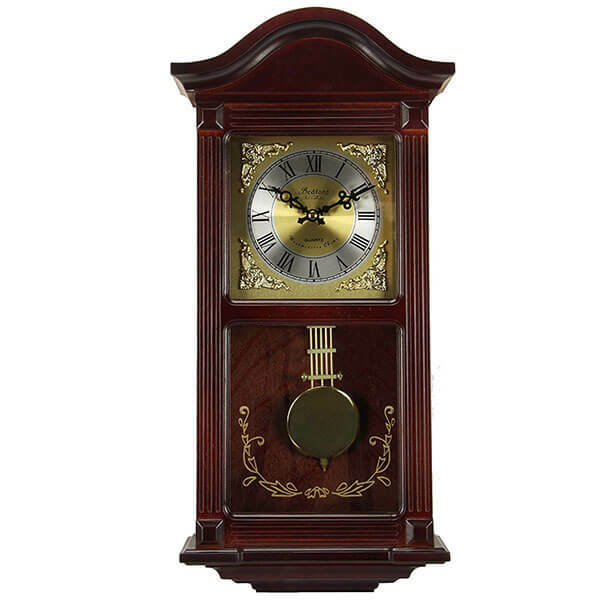 The Bedford Clock Collection Mahogany Wall Clock is a handsome wooden wall clock that features a mahogany cherry oak finish. The dial is gold and silver toned to offer a bright contrast to it. This clock features hourly chimes. Its pendulum and clockwork both run on two AA batteries. 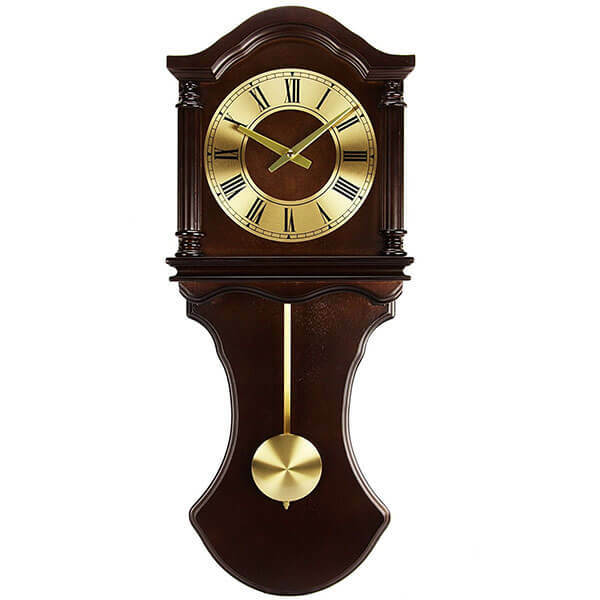 With its solid oak case given a dark brown, hand rubbed finish, the Seiko Wall Pendulum Clock is an elegant, handsome clock that looks great in any room. It has an ornate pendulum with a brass finish that looks striking against the wood finish. A glass cover with a decorative trim sits in front of the pendulum. Gentle curves and beautiful colors turn the Bedford Clock Collection Wall Clock into a clock that can add traditional decor to any of your spaces. 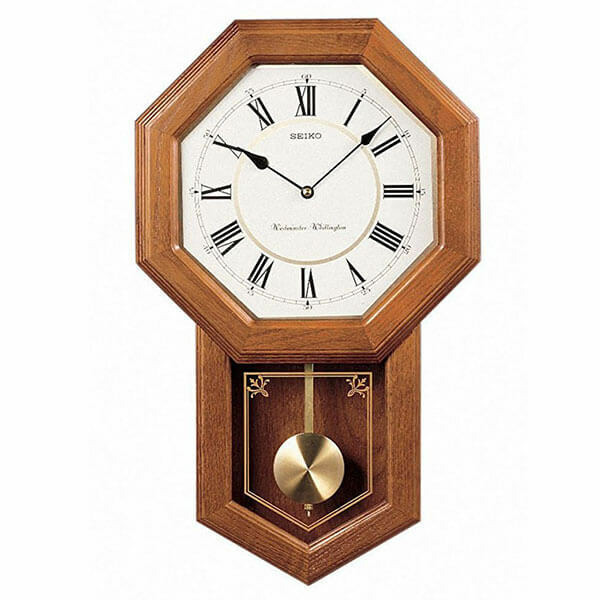 This clock features a brass pendulum as well as a polished black dial that has chapter ring accents to add elegance to the look. Requires 2 AA batteries: 1 for the clock hands and 1 for the pendulum. 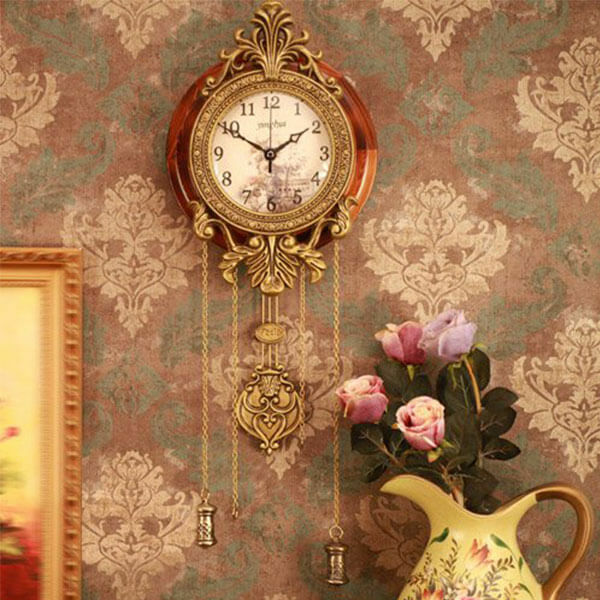 Elegant and sophisticated, the Aero Snail Retro Style Pendulum Clock is a beautiful pendulum clock that has been given a golden tone from its ornate frame to its pendulum to its weights. 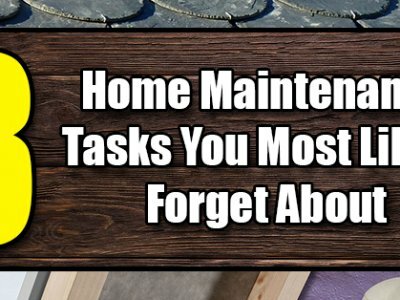 This clock features Arabic numeral indicators and hollowed out spade hands to tell the time. The Seiko Schoolhouse Pendulum Clock offers a classic schoolhouse style clock that has been given a light brown finish on its solid oak case. It has a Westminster/Whittington quarter hour and hourly chime function. 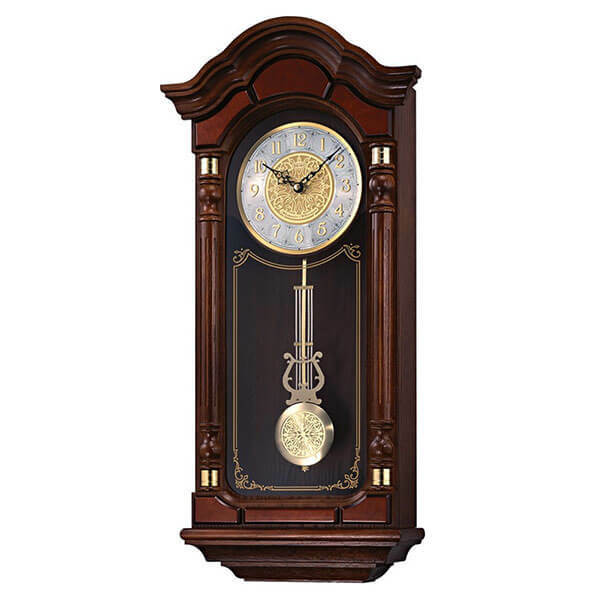 This pendulum style clock has curved glass crystal protecting the pendulum itself.